After arrival at Delhi, Meet with our Representative & depart to Chandigarh. It is famous & beautiful capital of Punjab and Haryana(Union Terriory). Here Rock Garden & Rose Garden are the famous tourist spot. Check in at the hotel. Evening is free for rest. Dinner and night stay at hotel. Depart from Chandigarh to Manali by road (274 kms / 7hrs) via Bilashpur, sundar nagar, Mandi, Kullu. 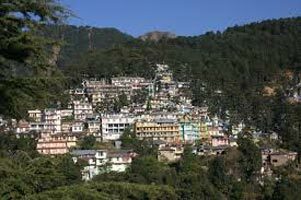 Set amidst pine-clad mountains, which gradually close in on both sides of the Beas and nestling in their shade. Entry in hotel. Take the rest at leisure. Night stay in hotel. In the Morning after breakfast go for local sightseeing in city tour, travel Hidimba Devi Temple, Tibetan Monastery and Vashisht Village, Manu Temple. Dinner at hotel. Night stay at hotel. Enjoy the complete day tour to, Gulaba, Kothi Gorge, Marhi, Rohtang Pass (snow fall all 12 months) is the very famous visited place in Himachal having snow around the year. The Rohtang road is closed due to snow fall in winter seasons. Take the adventures Paragliding in Solang Valley, and return to hotel in the evening. Dinner and night stay at hotel. After early breakfast, Proceed for Dharamsala. 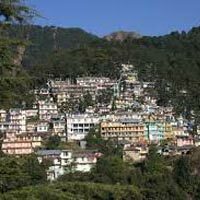 After arrival at Dharamshala visit the local sightseeing. And take the rest in the hotel. Dinner & night stay in hotel. In the morning take the breakfast and go for the local sightseeing of Mc Leod Ganj. Here is the temple of Dalai Lama. Mc Leod Ganj is a start with the small Tibetan handicrafts and artifacts bazaar, which is filled with variety. There are large idols of Buddha and the charming church of St. John in the wilderness. This place was the final resting place of Lord Elgin, a British Viceroy of India during the 19th century. Ancient temples like Chamunda, Jwalamukhi, Brijeshwari lie on the plains below Dharamshala. Dinner and Night stay at Hotel. After early breakfast check out the hotel and depart to Delhi.